The aim of this book is to provide a timely collection that highlights advances in current research of crystal growth ranging from fundamental aspects to current applications involving a wide range of materials. 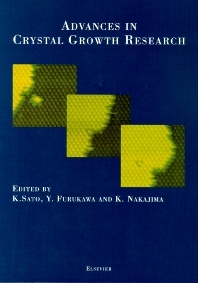 This book is published on the basis of lecture texts of the 11th International Summer School on Crystal Growth (ISSCG-11) to be held at Doshisha Retreat Center in Shiga Prefecture Japan, on July 24-29, 2001. This school is always associated with the International Conference of Crystal Growth (ICCG) series that have been held every three years since 1973; thus this school continues the tradition of the past 10 schools of crystal growth. Fundamentals of phase field theory (R.F. Sekerka). Generic mechanism of heterogeneous nucleation and molecular interfacial effects (X.Y. Liu). Challenges in crystal growth science and the microgravity tool (A.A. Chernov). Surface step dynamics: basic concepts, theory and simulation (M. Uwaha). Elementary growth process in semiconductor epitaxy - Molecular beam epitaxy as an example of epitaxy - (T. Nishinaga). Si bulk crystal growth: What and how? (K. Kakimoto). 10.Optimization of melt growth processes by experimental analysis and compyter modeling (G. Muller, B. Fischer). Epitaxial lateral overgrowth in GaN (A. Usui, A. Sakai). Effects of buffer layer and advanced technologies on heroepitaxy of GaN (K. Hiramatsu). Self-assembled quantum dots systems: the case of GaN (B. Daudin). Self-organised growth of silicon nanocrystal in nanocrystalline Si/SiO2 superlattices (L. Tsybeskov, D.J. Lockwood). Growth and characterization of semiconductor silicon carbidge for electronic and optoelectron applications: an industrial perspective (H. McD. Hobgood, et al.). Epitaxial growth of semiconductor silicon carbide: Fundamentals (H. Matsunami, T. Kimoto). Crystal growth and characterization of magnetic semiconductors (K. Sato). X-ray characterization of epitaxial layers (Y. Takeda, M. Tabuchi). Surface X-ray diffraction studies of crystal growth (E. Vlieg, M. Reedijk, J. Arsic). Using atomic force microscopy to investigate solution crystal growth (J. J. De Yoreo, C.A. Orme, T.A. Land). Crystal morphology control with tailor-made additives: A stereochemical approach (I. Wiesbuch, M. Lahav, L. Leiserowitz). Crystal engineering of biological soft materials (K. Sato). Kiyotaka Sato, Hiroshima University, Japan.